Image left: TVNZ. was about to write a preview for the incoming F18 Worlds at Ireland with a talented group of French rides as top favorites for the title when one of the top sailors in History comes along to play again in the F18. Glenn Ashby will race at Bangor with Brett Goodall on the Goodall Design C2 , putting themselves at the top 3 favorites along Gurvan Bontemps- Benjamin Amiot and Morgan Lagraviere-Arnaud Jarlegan. Good news for the Class having Ashby back. He has won some titles with Bundock on the Tiger days, and also participated as helm in 2010 Worlds at Erquy with James Spithill. (beyond missing the Gold) and also grabbed several F18 titles together. By his own Glenn has dominated single handed multis A_Class for more than a decade or two? He is current A-Cat WC, but still has to win a double handed World Title as helm. 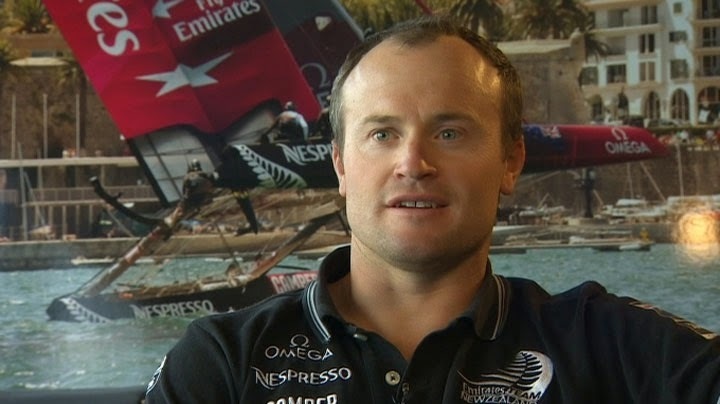 This could be the year, for the guy who taught Spithill & Barker how to sail cats at top level. He won the Cup as coach with Oracle in the 2010 DoG fight, and was some hundred meters to win it with New Zealand as wing trimmer. So Glenn doesn´t need any additional trophy in his shelve, but an F18 World Title as helm will look nice in his collection. Is not going to be that easy though with the crews mentioned above plus the Sach bros, some UK locals like Piggot and newcomers like Normand-Jarlegan. On the youth US Reiss-Whitehead and French Berrehar-LePomelec will put some pressure too along the Father-Son teams of Boulogne and Mourniac. They will sail a Cirrus R I got for them, they did well at Grosseto with 19th overall and this year they might get even better. Goodall Design C2 was crowned WC design in 2011 with Bundock-van Leeuwen at Balaton, the brand is willing to repeat. 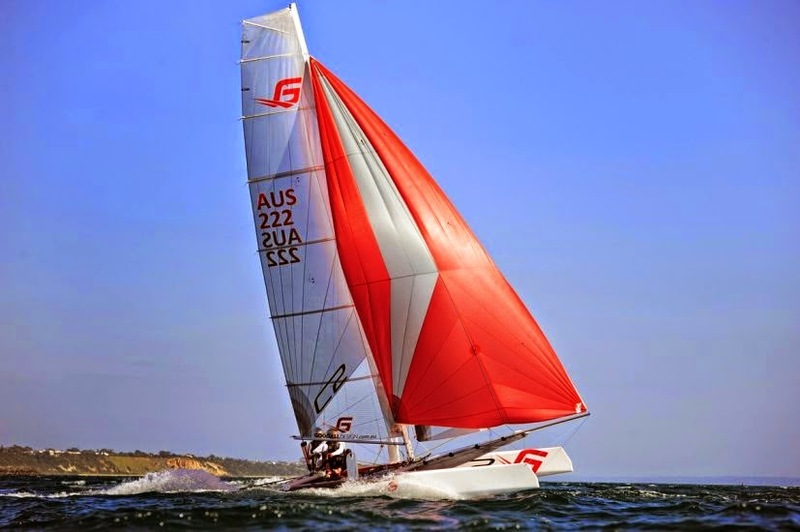 The Formula 18 Class remains as the Open & Unlimited double handed Class to prove yourself against the very best sailors. 2015 Worlds will be held in Germany, 2016 at Buenos Aires, Argentina.